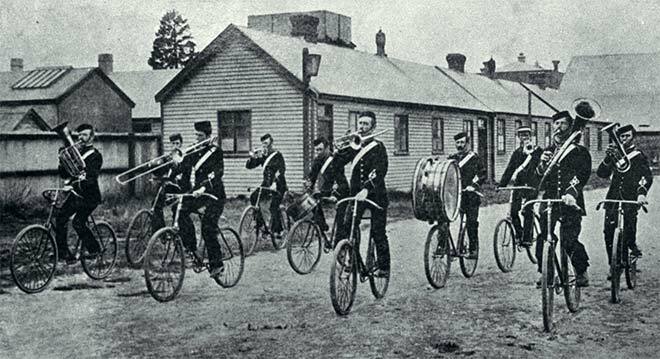 The Christchurch Bicycle Band, also known as Painter's Band, is seen on parade in 1898. This professional band was organised in 1898 by Fred Painter, inspired by the 1890s cycling craze. The skilled musicians and cyclists played one-handed while riding on the unpaved roads of Canterbury. The highly popular band was hired for many public occasions. They made their last ride in 1910.